Suspension and Shock Absorbers are there to reduce the effect of traveling over rough ground, leading to improved ride quality and vehicle handling. 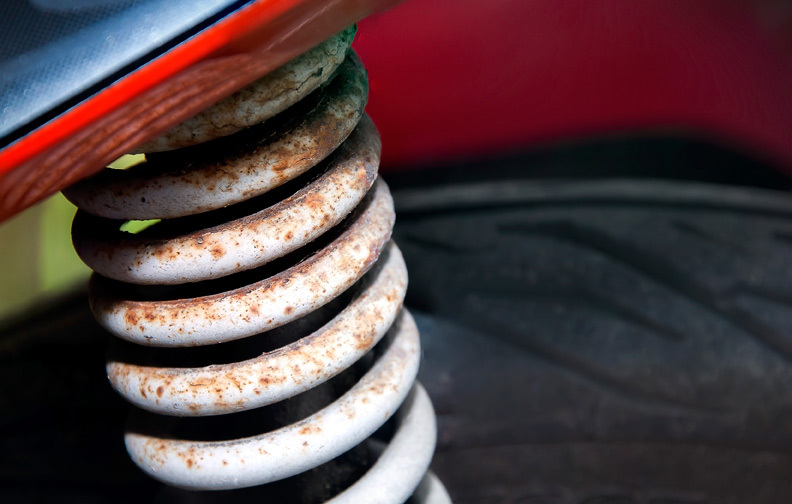 While shock absorbers serve the purpose of limiting excessive suspension movement, their intended sole purpose is to damp spring oscillations. Shock absorbers use valving of oil and gasses to absorb excess energy from the springs. 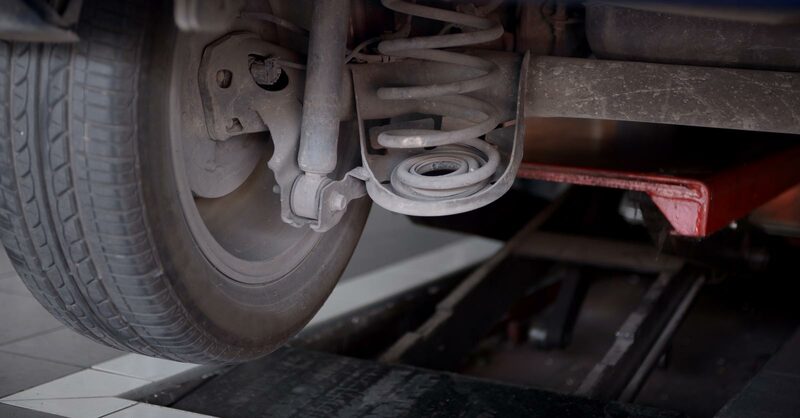 Spring rates are chosen by the manufacturer based on the weight of the vehicle, loaded and unloaded. Some people use shocks to modify spring rates but this is not the correct use. Along with hysteresis in the tire itself, they damp the energy stored in the motion of the unsprung weight up and down. Effective wheel bounce damping may require tuning shocks to an optimal resistance. 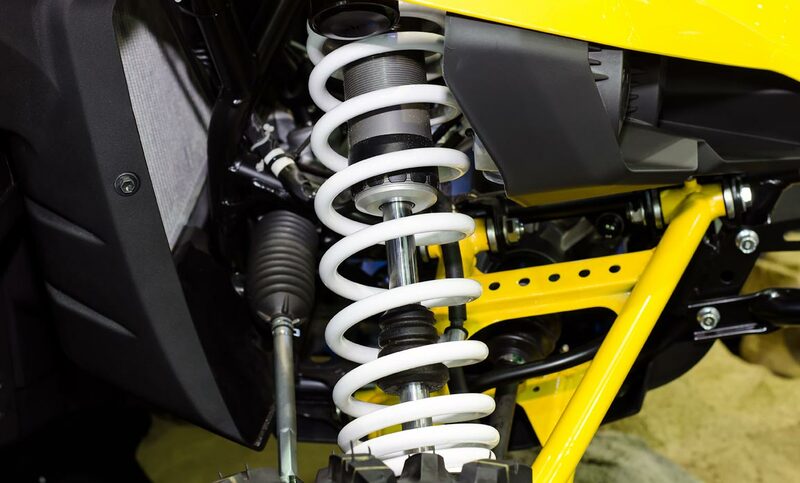 Spring-based shock absorbers commonly use coil springs or leaf springs, though torsion bars are used in torsional shocks as well. Ideal springs alone, however, are not shock absorbers, as springs only store and do not dissipate or absorb energy. Vehicles typically employ both hydraulic shock absorbers and springs or torsion bars. In this combination, “shock absorber” refers specifically to the hydraulic piston that absorbs and dissipates vibration. A shock absorber (in reality, a shock “damper”) is a mechanical or hydraulic device designed to absorb and damp shock impulses. It does this by converting the kinetic energy of the shock into another form of energy (typically heat) which is then dissipated. A shock absorber is a type of dashpot. The shock absorbers used in most cars today are either twin-tube or mono-tube types with some variations on these themes. Known as a “gas cell two-tube”, this has a significant advancement over the basic twin-tube. Its overall structure is very similar to the twin-tube, but a low-pressure charge of nitrogen gas is added to the reserve tube. This causes a reduction in foaming or aeration, which is an undesirable outcome of a twin-tube shock absorbes when they overheat and fail which presents as foaming hydraulic fluid dripping out of the assembly. Twin-tube gas charged shock absorbers are in the majority of modern cars. As its name implies mono-tube shock absorbers, comes in a coil over format and consists of only one tube, the pressure tube. The two pistons are in mono-tube shock absorbers are called the working piston and the dividing piston, and they move in relative synchronous inside the pressure tube in response to changes in road smoothness. The two pistons also completely separate the shock’s fluid and gas components. The mono-tube shock absorber makes it more difficult to mount in passenger cars designed for twin-tube shocks.